Great for freshening up en route or after a day of sightseeing, backpacking or hiking. 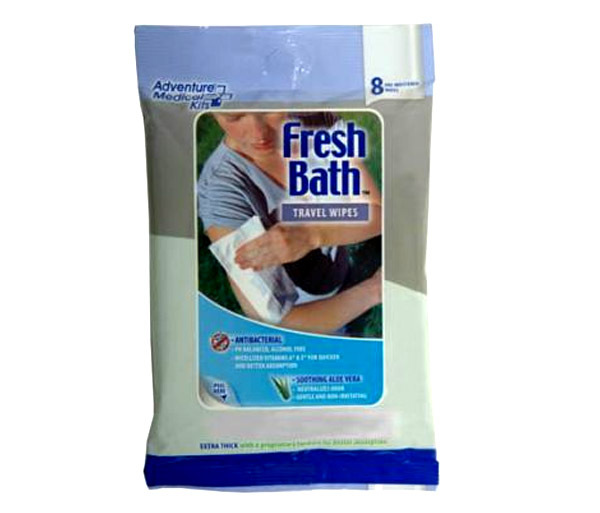 Heavy duty wipes provide antibacterial, rinse-free bathing. 8 wipes per package. Leaves skin feeling clean & refreshed 8" X 5"